a) Dexed (virtual instrument) by Digital Suburban. 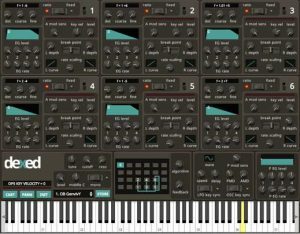 This freeware plugin synth is closely modeled after the well known Yamaha DX7 80s hardware synthesizer, and thus uses Frequency Modulation (FM) synthesis at itscore. By the way, it is also capable of reading real DX7 presets. b) Casio VZ-1 (hardware instrument). This vintage piece of hardware from the late 80s was Casio’s flagship after its CZ series. It uses both Phase Distortion and Frequency Modulation with up to 8 oscillators per voice. In comparison to the DX7, it is much more versatile though much more difficult to program. 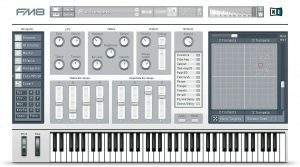 c) FM8 (virtual instrument) by Native Instruments. This commercial plugin is known in the audio industry for its versatility and detail when it comes down to modulation, envelopes and other programmability all while using Frequency Modulation synthesis, though it is capable of more than just that. Can you tell which is which? Answer will be included in our next episode! Leave a comment here, or go to our Instagram post to leave a comment.